Rebecca Serle is the co-creator of the Famous in Love television show, as well as the author of When You Were Mine and The Edge of Falling, and is an obsessive lover of all things teen entertainment-a trait she tracks straight back to the WB, and Pacey Witter. She grew up in Maui and Los Angeles, and now lives in Manhattan. She can be found on Twitter @RebeccaASerle. "Rebecca Serle completely captured what it's like to be a part of Young Hollywood. I absolutely loved Famous in Love. A must-read for anyone curious about life and love behind the scenes." "The first-person, present-tense narration highlights Paige's internal conflict, with step-by-step descriptions of swoony kisses for romance-loving readers. 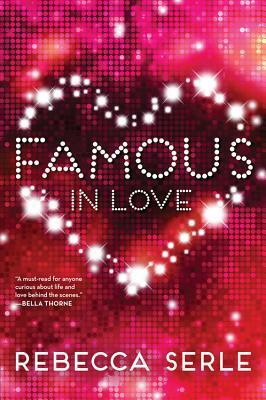 This frothy but not frivolous drama is wish fulfillment for any teen who wants to feel the thrill of celebrity and love." "Famous in Love is so fun, fresh, and delectable, I'm hooked. More, please. And soon." "Fantasy becomes reality in this exhilarating love story you won't want to put down." "I could not put down this book! Loved, loved, loved it. So much romance, so much Hollywood gossip, so much fun."